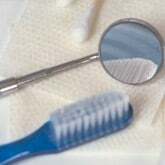 At DentalPlans.com, we make it simple for you to find a dentist in Skillman, NJ and save on General Dentistry and more. Basically, by entering your ZIP code, you can save money on General Dentistry with an easy-to-use discount dental plan. Select one of our featured discount dental plans and enjoy discounts of 10% to 60% on most dental care services at dentists like Dr. Matthew Chin. Visit the dental office of Dr. Matthew Chin in Skillman and save money on General Dentistry and more. The 30+ plans featured on DentalPlans.com are dental insurance alternatives that can provide you with significant savings on most dental care procedures like on General Dentistry and more. We make it easy for you to search a wide range of general dentists, oral surgeons, endodontists, and more! So if you require getting cavities filled, orthodontics, dental implants, or any other dental care treatments, we can easily help you find a dentist or dental care specialist in Skillman, NJ.